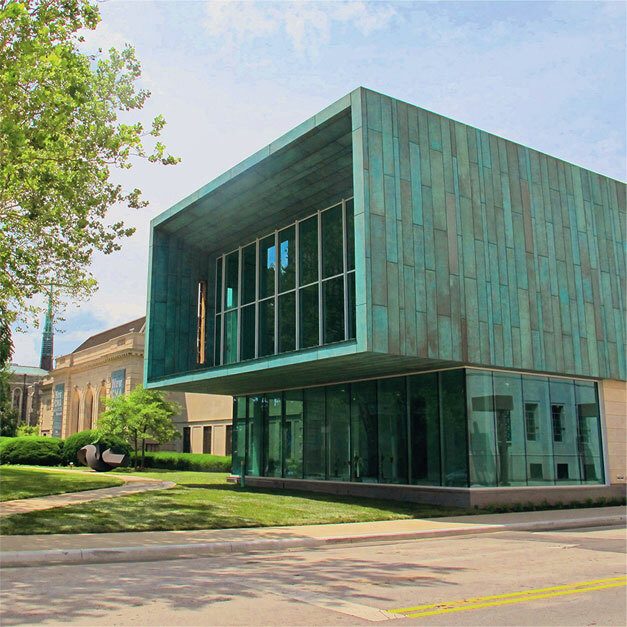 The New Wing adds 50,000 square feet to the Columbus Museum of Art. Throughout the construction process, CMA recycled 95.9% of materials from the expansion project, diverting them from the land fill. There are 1,539 copper panels on the exterior of the new wing. Approximately 375 works will be on display throughout the Museum when it opens to the public on October 25. This does not include the works in Keeping Pace and Feeley. Thirty-three new additions to the Museum’s collection will make their CMA debut this fall. The oldest works on display will be a collection of ancient glass on loan from the Israeli Antiquities Authority. The newest works on display will be Jeppe Hein’s Mirror Balloons V.
Mel Chin’s Spirit will be the largest work on display. Spirit is so large that a room had to be built to display it. Fourteen works of art will be installed outside on the Museum grounds.